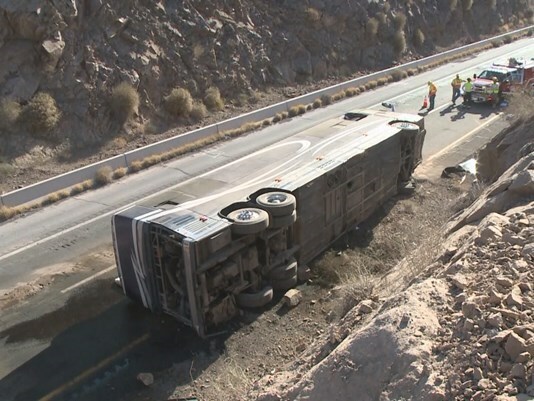 The Phantom Regiment Drum and Bugle Corps staff/volunteer bus rolled over this morning near the Arizona-California border. According to Arizona Department of Safety Officials, the bus driver was killed while four passengers were taken to local hospitals. Two were airlifted after suffering severe injuries. The bus was carrying 14 people total. No performers were injured in the accident. Police are investigating the accident, but believe that the bus blew a tire, went up an embankment and then rolled over. The bus driver was not wearing a seat belt.